Bluegrass group The Brothers Parker from Montana in the USA will perform in the Beehive Bar on Saturday 8th September. 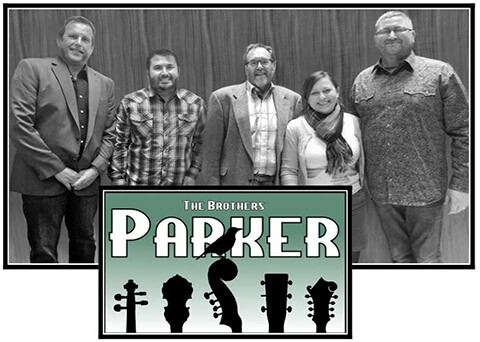 The Brothers Parker are a five piece band from Montana, covering Classic and Contemporary Bluegrass – Country and Gospel. John and Billy Parker – hence the name The Brothers Parker. Billy on Mandolin and Vocals and John on Bass and Vocals. They both have nearly 40 years experience playing Bluegrass Music. Finn Bluegrass Festival Banjo Championship. New term for our free preschool year begins on the 3rd September from 9am -12 and from 12.30-3.30pm for both preschool 1+2 rooms. We are providing a Breakfast Club for children this year and an early drop off for parents who are working/studying from 7.45am (booking is required). We are engaging the help of a taxi school drop to the town school due to the numbers attending. Our winters have been wet and cold so getting the children to and from school dry is a priority. For more information on any of the above please give us a call on 0749537744. Looking forward to the new term. Children’s swimming lessons aged 5+ will start up again on Friday 7th September in Ballyshannon pool. Leaving Ardara 5.50pm return at 9pm. For more info call or text Pauric on 087-6779933. 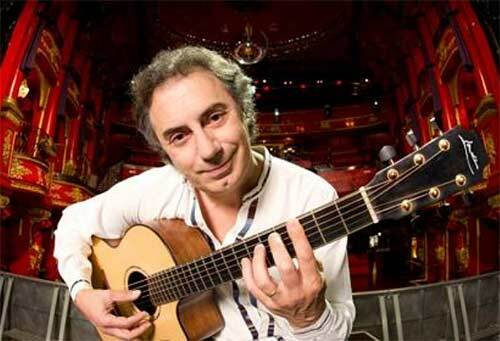 Considered to be the greatest guitarist in the world, Pierre Bensusan will be performing in the Nesbitt Arms Hotel on Saturday 8th September in a special Concert at 8.00pm. He will also perform a workshop in the Nesbitt Arms Hotel on Sunday 9th. Further details on our Event Page or contact the Nesbitt Arms Hotel. The Johnny Doherty Festival takes place on the weekend of 21st to 23rd September. Friday night opens with Brid Harper, Dermot Byrne and Steve Cooney. There will also be Ceili and Sets with the Duntally Ceili Band. Saturday also sees Sets and Ceili workshops, two hand dance workshops, gaelic singing workshop, and dance the tune with Stephen Gillespie. There will be a big concert on Saturday night with Cherish the Ladies. Sunday sees a Sean Nós Workshop with Joe. Sets and céilís in the Nesbitt Arms Hotel at 3.00pm. The finale concert takes place in the Beehive Bar. There will be various open air sessions all weekend in town. For more info contact Pat on 087 6900714. Details are on our Johnny Doherty Festival page. AVOID USING PLASTIC WHEREVER YOU CAN. Our sculpture is made from the plastic waste we collected in July from Dooey Beach. It will be a remarkable centrepiece and a daily reminder to fight the plastic waste. On the 9th of September the artist, Niamh McCann will have finished her sculpture and in a community gathering, a celebrity will unveil the art work in a prominent place in Lettermacaward. And never forget: Oceans can live without humans – but humans can’t live without oceans. Unveiling of the sculpture is 3pm on Sunday 9th September at the green area in front of the Gweebarra Bar and Gallagher’s XL shop. Donegal Mind Wellness will be starting a Stress Control programme on Wednesday 19th September in St. Shanaghan Centre at 7pm and it will run for 6 weeks. These programmes are free and have 6 weekly sessions of 90 minutes each. Everyone is welcome to come to these classes and there is no discussion of any personal problems. Go to Stresscontrol.org for details of course content. Anyone with an interesting story, please forward to duchas2018@gmail.com as we move closer to printing time. Also articles can be left at West End House, Ardara. The sympathy of the community goes to the Kennedy and McBrearty Families, on the death of Peg Kennedy, Cashel, whose funeral took place last week. Also to the McGinley Family, Hillhead, on the death this week of James McGinley.